Chloe, Joyce, Pepi and Annika getting ready for the next round. On Sunday, May 11th, 30 teams participated in the B.C. 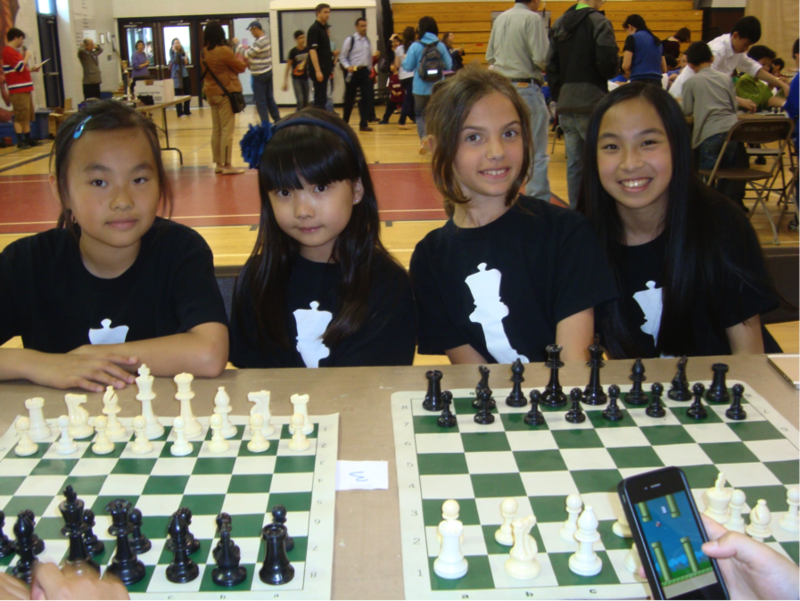 Elementary Chess Tournament that was held at St. George’s Elementary School. There were 30 teams divided into two sections, A and B, and over 125 participants. Round 1 10:15, Round 2 11:10, Round 3 12:25, Round 4 1:20, and Round 5 2:15. The girls with their trophies, Jr. School Assembly. York House registered one team in Section A. 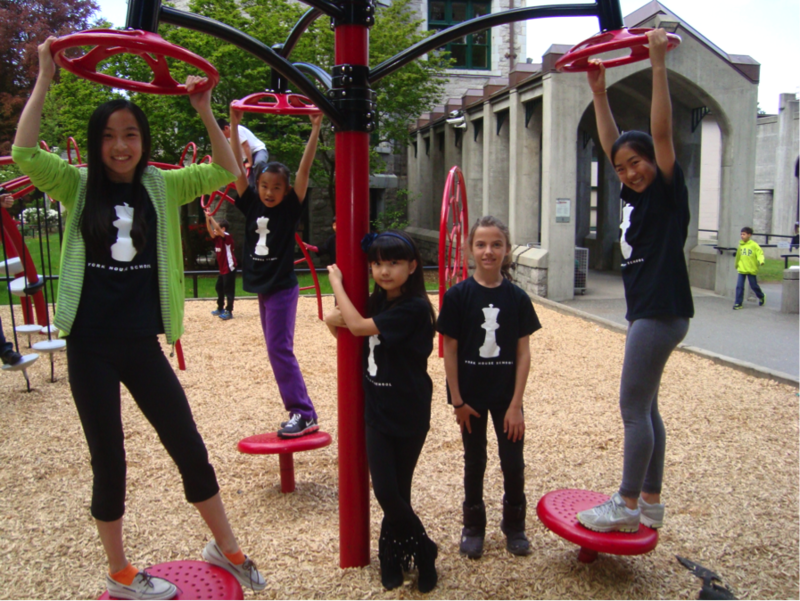 The members of the team were Pepi, Maggie, Chloe, Annika and Joyce. The girls played very well indeed and came 5th in the A Section, scoring 9.5 out of a possible 16 points. They were very happy with this result and were presented with individual trophies. 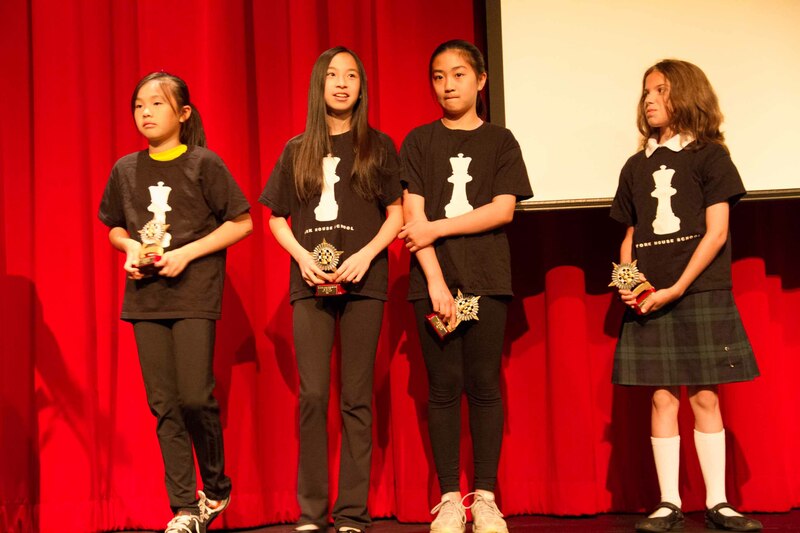 Four Yorkies also recently played in the BC Chess Championships: Joyce, Gr. 3, Annika, Gr. 6, Pepi, Gr. 7 and Alice, Gr. 12. See their results. Annika, Chloe, Joyce, Pepi and Maggie relaxing between games.